We offer a vast array of solutions to reduce client dependence on stock market investing. Many of our solutions are market neutral and are not correlated to the volatility of the stock market. This is key for the investor that is looking to reduce exposure to the uncertainties of investing in the markets. Many of the top institutions, including endowments and pension funds, have small exposure to equities. These professional money managers rely on hedge funds, direct real estate programs, and private equity investments to diversify away from the stock market. HUDSONPOINT can help qualified clients invest in similar solutions that have historically been available only to the institutional client. 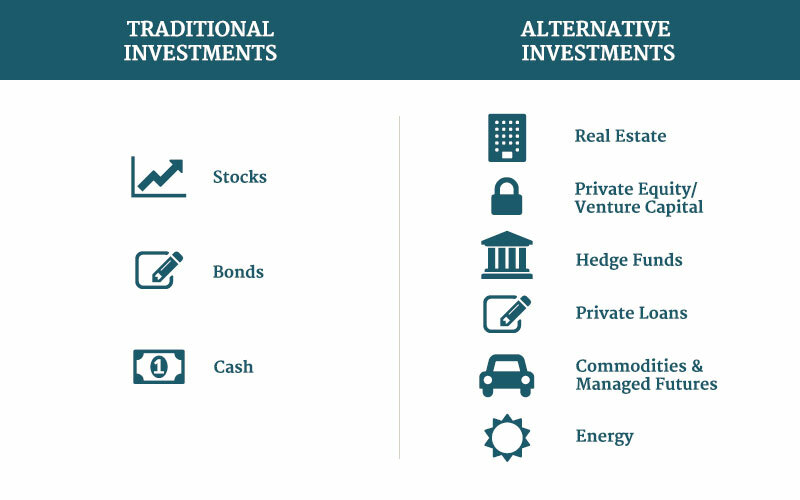 Investing in these alternative solutions can help diversify the client’s portfolio with less reliance on what the markets do from year to year. We offer a wide range of alternative investment products such as REITs, managed futures, Hedge Fund Solutions, oil, gas and mining programs, equipment leasing, late stage private companies prior to an IPO, and other private equity and investment banking solutions.